Fru-Gal.org: Free Camping Pre-K Pack! 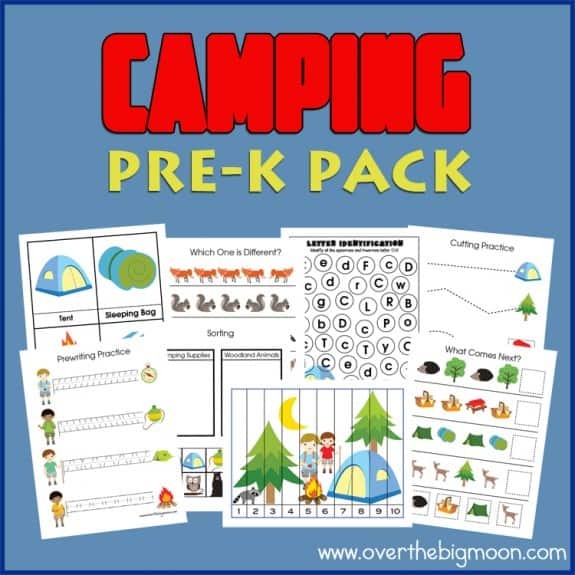 I was excited to see this free camping-themed pre-K pack (put together by Over the Big Moon), now that I have two little boys to teach preschool in a few years! When I was teaching Anna preschool last year, I saved all of my free learning packs like these in a preschool folder on my computer, which will make it much easier to pull up resources when I re-teach preschool for the boys.